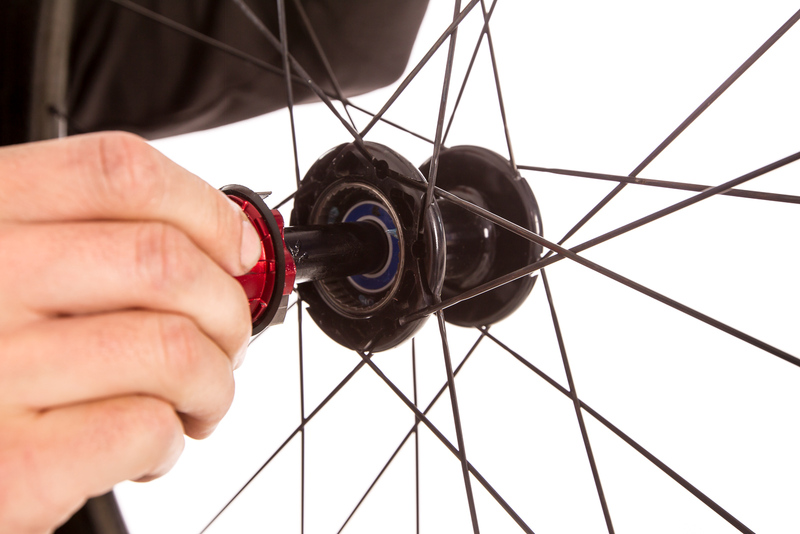 Upgrading to smoothly running ceramic hybrid bearings, hereafter referred to as ceramic bearings, counts as one of the last tuning steps for derailleur pulleys, bottom brackets and ultra light carbon wheels. Their high-end representatives promise to reduce friction as well as weight, and - regular maintenance provided - a longer lifetime. 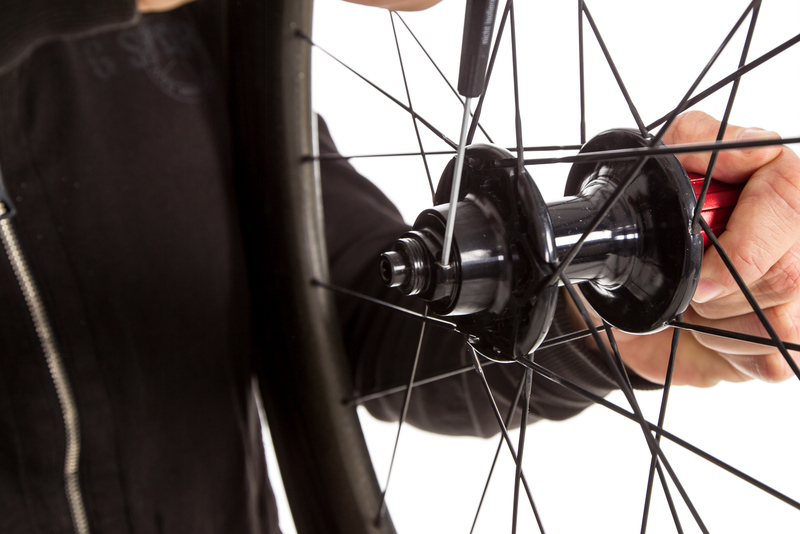 This is offset by excessive pricing; also, the highly praised low friction of hub bearings should not be overestimated. From a physical point of view, the friction loss is very low and a result of friction torque divided by the wheel's radius. 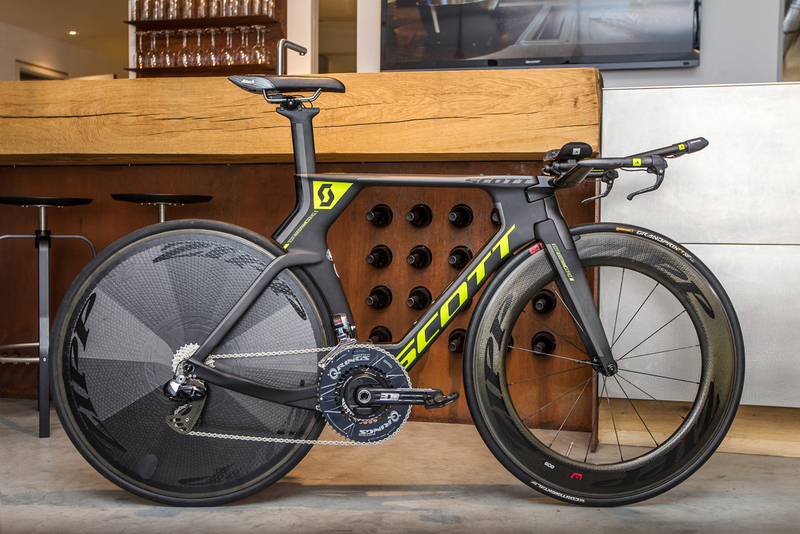 Together with the relatively fast spinning pulleys and bottom brackets, we can assume (following the popular theory) a rolling friction of 1-4 watts at about 30 km/h in the flat. 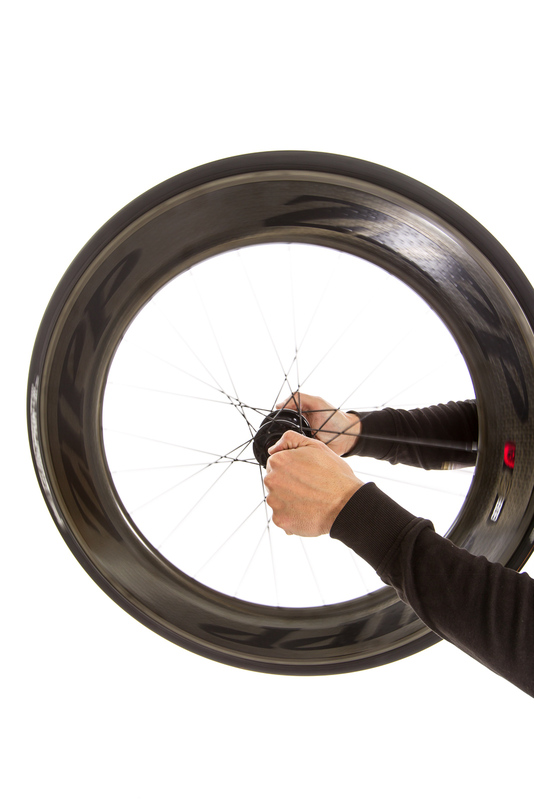 In comparison, the chain would create 3-6 watts friction loss at the same pace, and the tires' rolling resistance would amount to 35-50 watts. 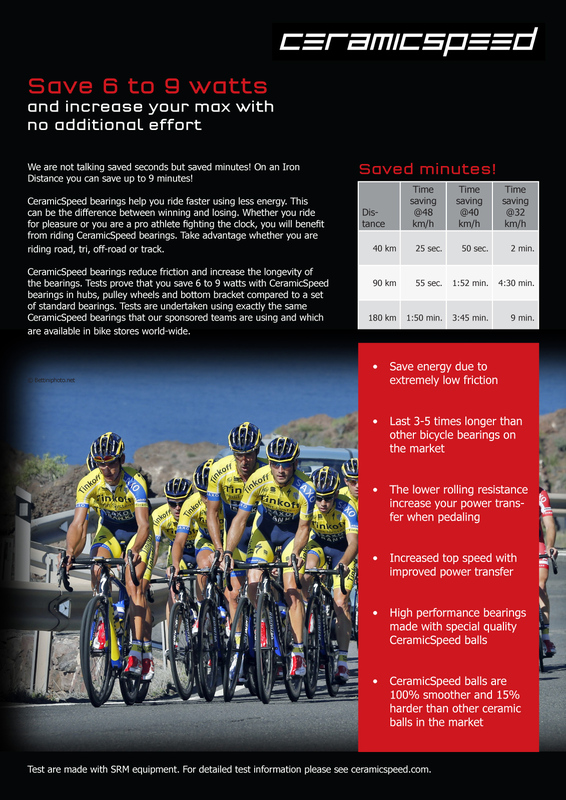 So how can the market leader CeramicSpeed promise advantages as high as "6-9 watts"? 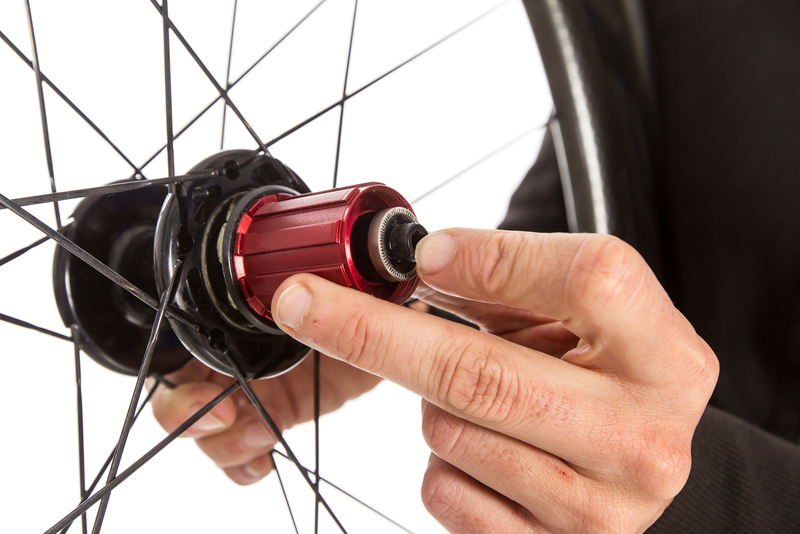 And why do non-sponsored pro teams use ceramic aftermarket bearings even though their bicycles would actually be equipped with high quality, stress-free steel bearings? Is it only marketing? Sorcery? Or do other forces of friction exist in reality which have not been taken into account in theory? 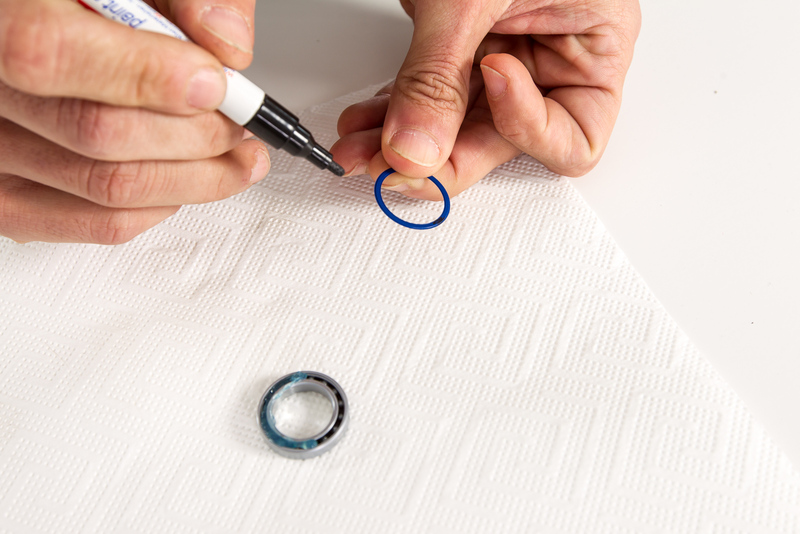 Armed with detailed background information and the practical experience of a long-term test, we're going to get to the bottom of the myth of ceramic bearings. 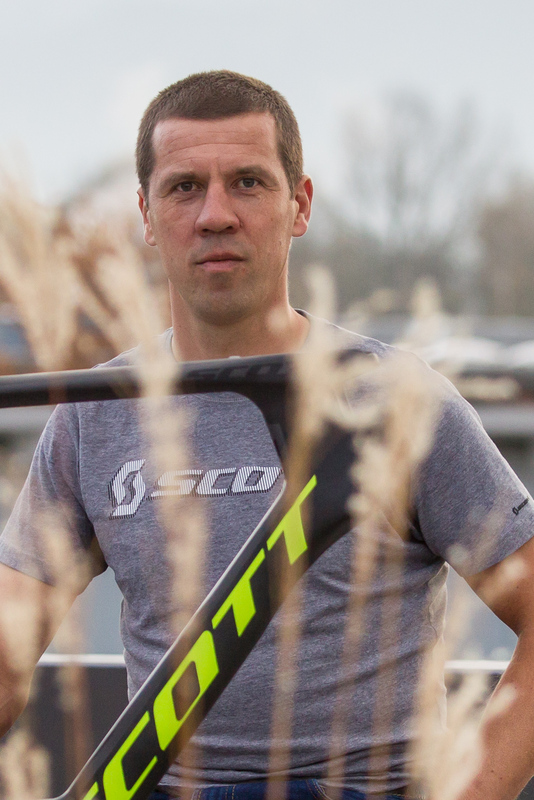 What's more, we spoke to three people - Scott's ProTeam technics guru, Austria's (probably best) bicycle mechanic, and CeramicSpeed's CEO - to shed some light on the topic. 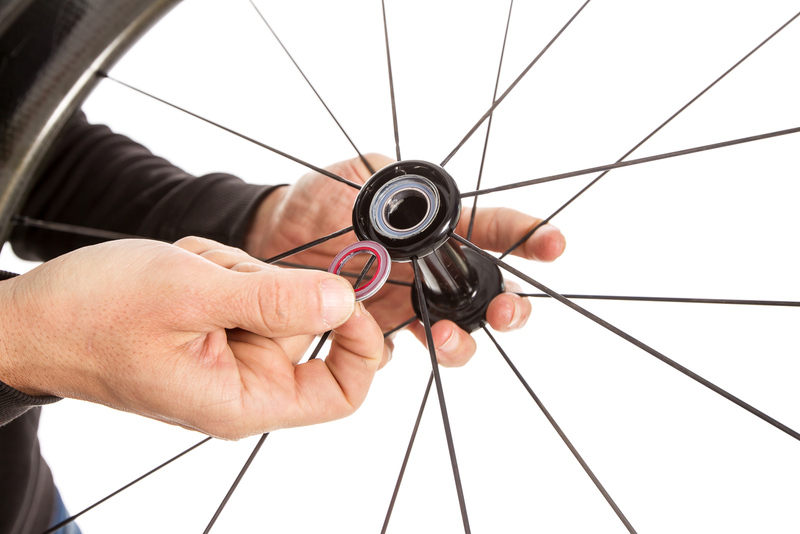 In the cycling industry, the term "hybrid bearings" or "ceramic bearings" usually means sealed bearings with ceramic components. Only the balls are made out of ceramic; the material of the inner and outer rings which the balls run in between is still made of steel. Compared to steel, high-quality ceramic balls are harder, lighter, and their coefficient of friction is reduced up to 50%. 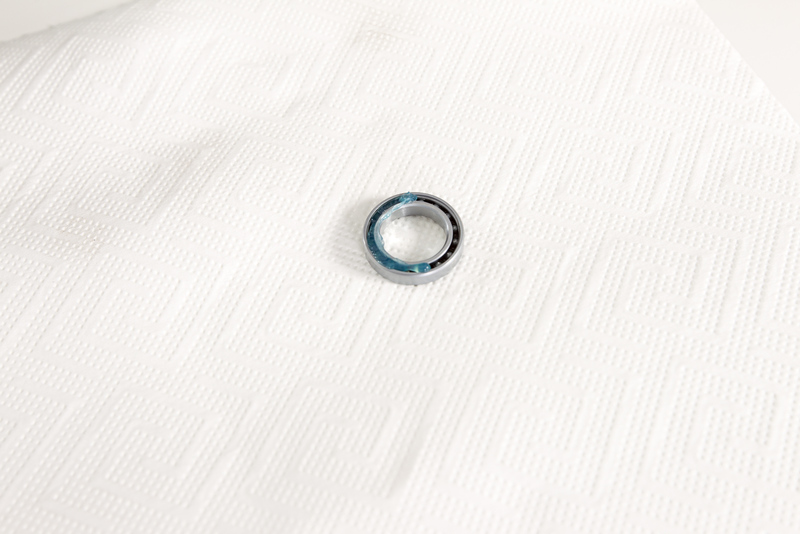 However, there are significant variations in quality between commercial ceramic bearings concerning alloy and manufacturing, which can in turn have a negative effect on their longevity. Thus, silicon nitride ceramics are suitable for the most extreme operating conditions and seem downright predestined for mechanical engineering components with very high dynamic strains that require a high level of reliability. Indeed, only few of these demands are made by the bicycle. Pearls before swine? A bearing is composed of balls, seals, races, a cage, and grease. All five components are available in various materials and qualities. 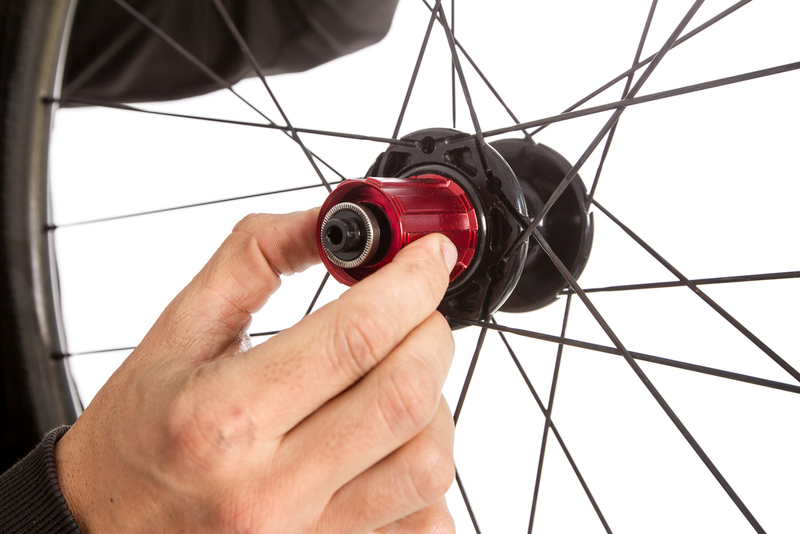 In the case of hybrid bearings, ceramic balls represent the most important component; that's why CeramicSpeed solely uses ceramic balls made out of silicon nitride (Si3N4). It takes CeramicSpeed balls 50-70 days to reach grade 3, the best possible grade in terms of measuring surface smoothness and roundness. Contrary to cheaper, lower quality balls from other manufacturers, the danish CeramicSpeed balls claim to be 15% harder, 100% smoother and able to withstand 99% higher loads. The manufacturer seeks to prove this in a hard-hitting hammer test video (see below). Our conclusion thus far: not everything that is labelled "ceramics" actually contains the same quality of ceramics. 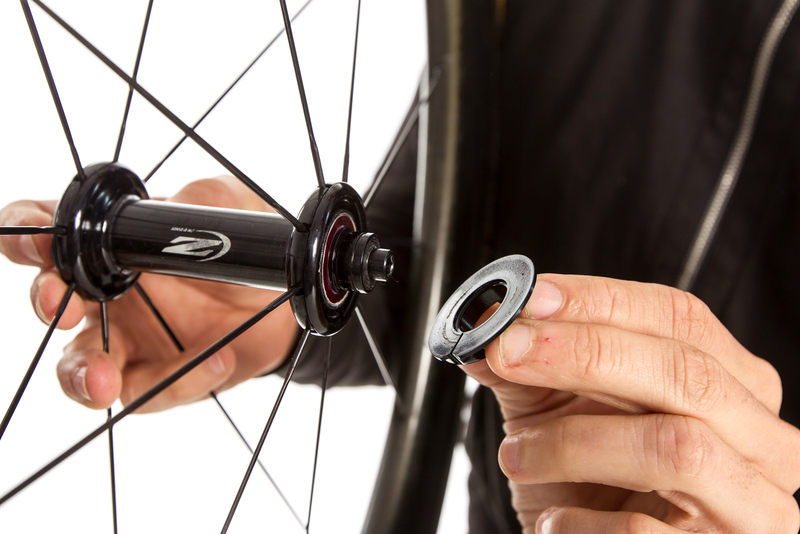 This is confirmed by CeramicSpeed, other manufacturers like ZIPP and professional mechanics, as well as Wikipedia & Co. whenever you do a search for specific terms such as silicon nitride Si3N4. If you demand the best combination of low friction and high durability, you should definitely go for the Danish hybrid bearings and avoid the cheaper products made in China or India. 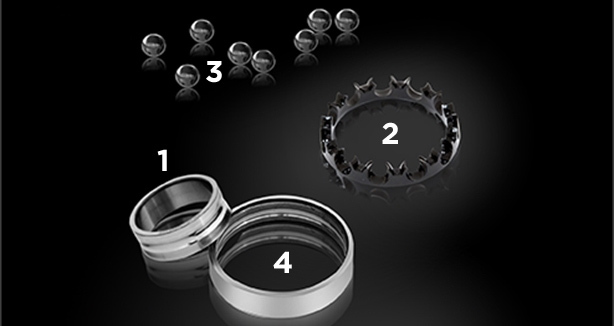 To maintain the lowest possible friction coefficient, the synergy of the bearings' remaining four components must not be neglected. 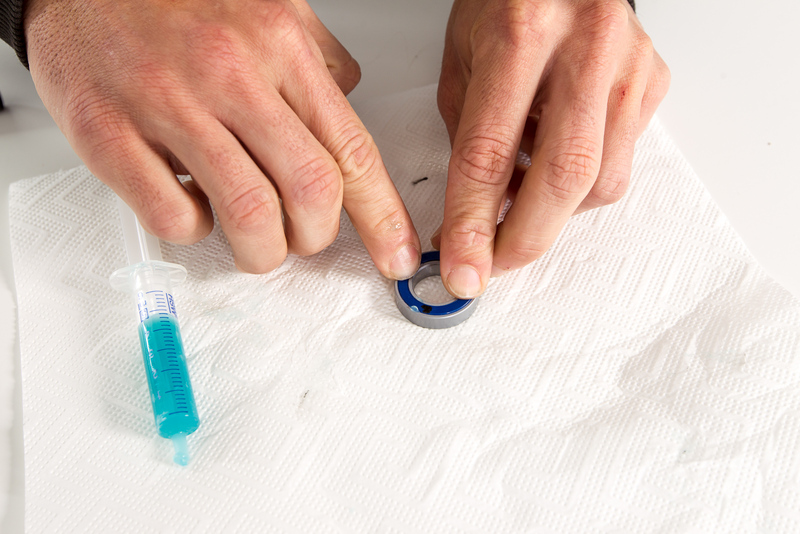 Thus, CeramicSpeed produces all bicycle bearings by hand since the beginning of the century, following highest quality standards. CeramicSpeed "standard" vs. "coated": In collaboration with a European coating expert, a special coating for the inner and outer races was produced to create an even smoother, more durable and homogenous surface. A very thin (0,003 mm) layer of metallic coating, 80% harder than steel, is applied to the surface of the race. 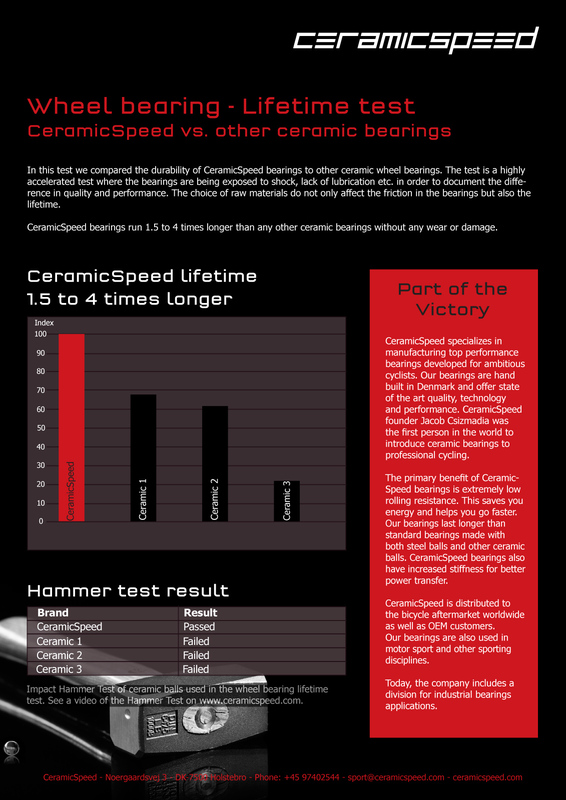 CeramicSpeed brings up various tests to prove that the Danish ceramic bearings last up to ten times as long as ordinary steel bearings and up to four times as long as ceramic bearings made by other manufacturers. 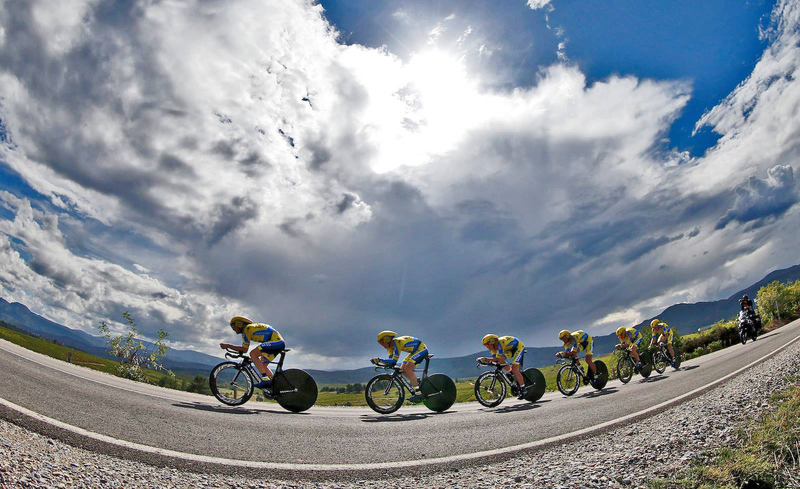 This is why CeramicSpeed offers a 4 year warranty on all standard products and a 6 year warranty on all coated products. 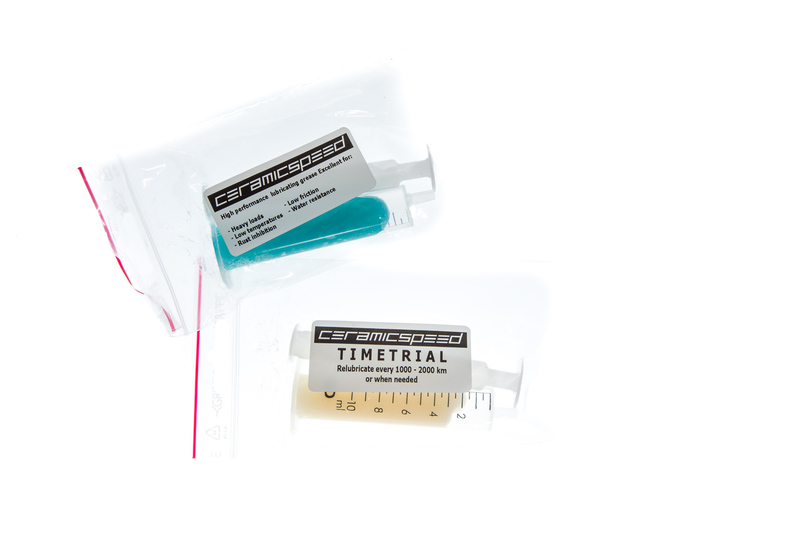 To achieve the perfect balance between lowest friction and highest longevity, CeramicSpeed recommends the use of their original "blue grease". 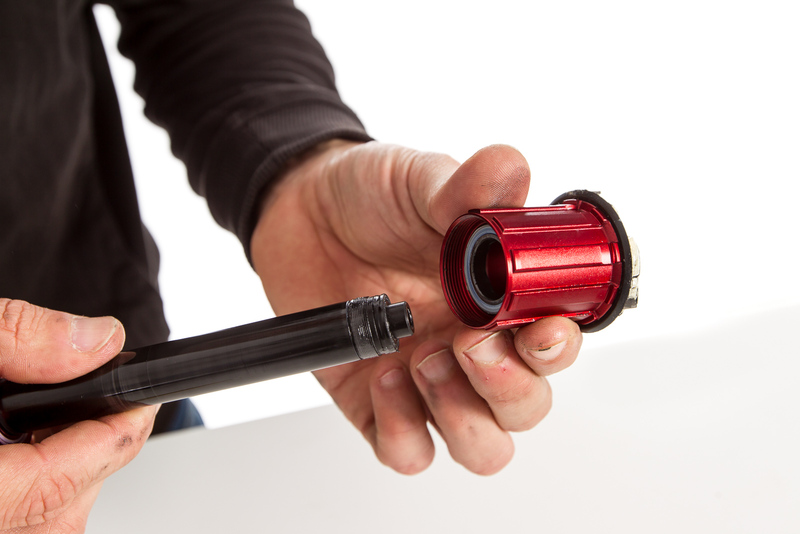 When using "TT grease", the bearings need to be lubricated significantly more often. 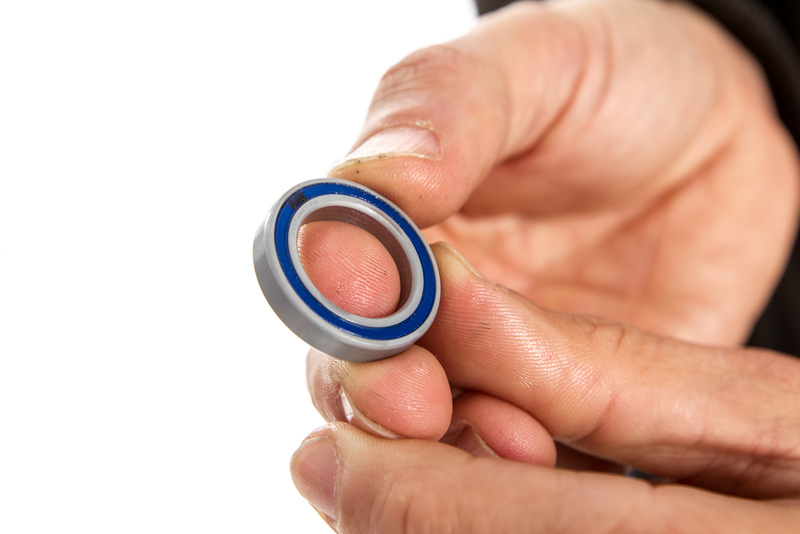 How long have you been using ceramic hybrid bearings with professional teams? 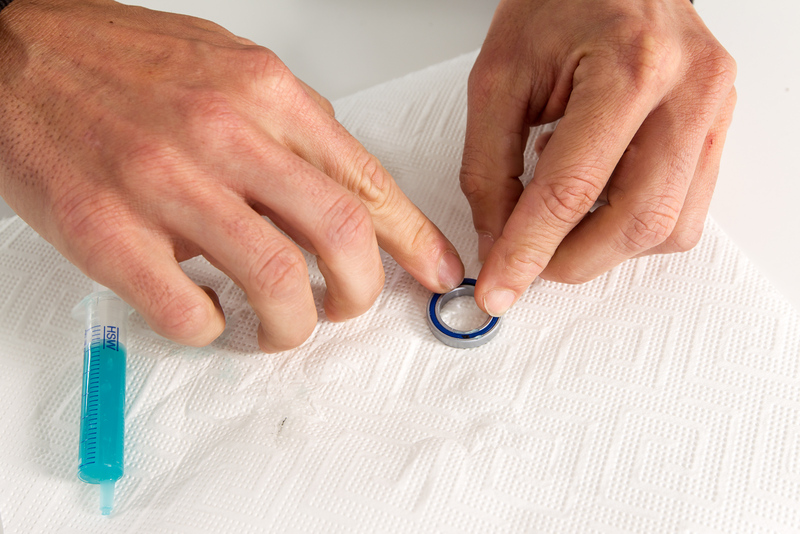 What are your experiences with ceramic hybrid bearings (low frictional resistance etc.)? What is most important to us is the significantly longer durability. The efficiency of the bearings is hard to measure in this dimension. 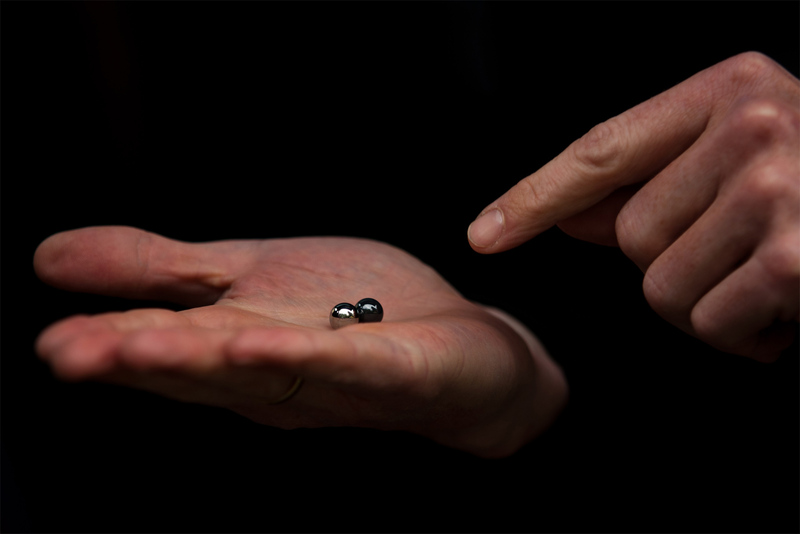 Are there differences in quality concerning ceramic balls? Yes, cheap ceramic balls break a lot faster than good steel bearings. 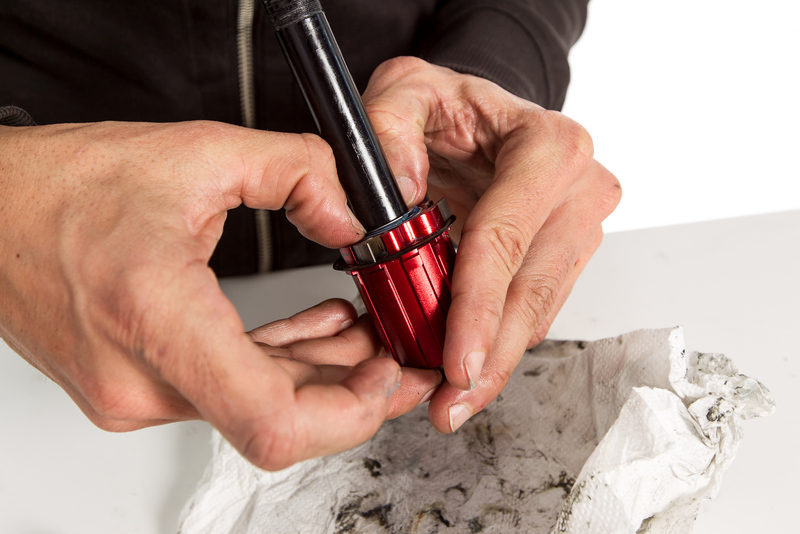 What type of grease do you use and how often do you lubricate the bearings? 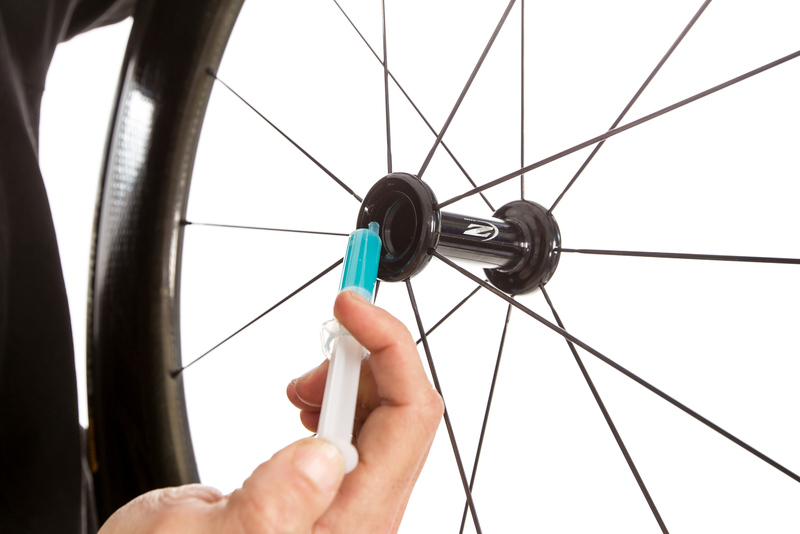 We use CeramicSpeed's blue grease for all our road bikes, and the white special grease for all TT bikes. What is your estimation regarding the level of frictional resistance of all moving parts and the tuning potential of ceramic hybric bearings? The actual resistance of steel bearings in mint condition will probably amount to 1-2 watts under load (note: level route, 30 km/h, 200 watt power). 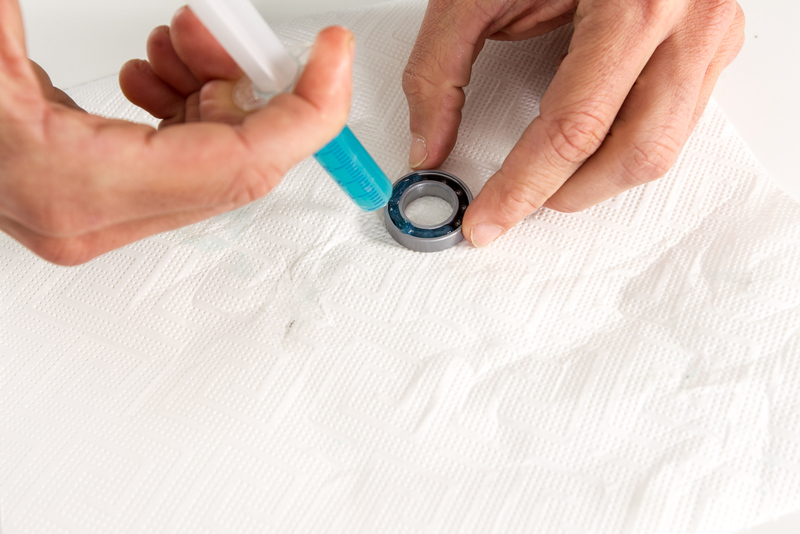 The loss due to seals and rubbery grease is often a lot higher. 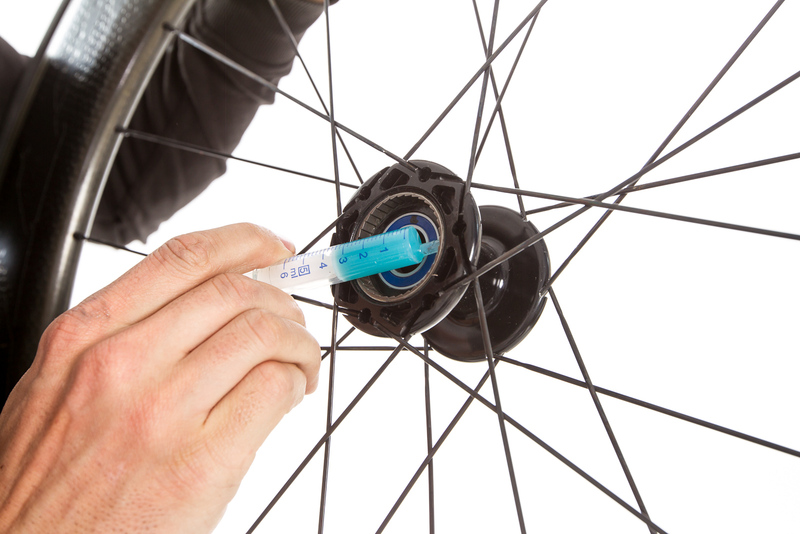 Other than Shimano and Co., CeramicSpeed is playing a different game with their seals and special blue grease. If you treated regular steel bearings like that, they would roll just as well, except for the one watt difference in friction under load. But these re-treated bearings would not turn out to be very durable or would require constant service. CeramicSpeed's all-in-one package (races, ceramic balls, special grease and seals) lasts a complete ProTour season - and longer. 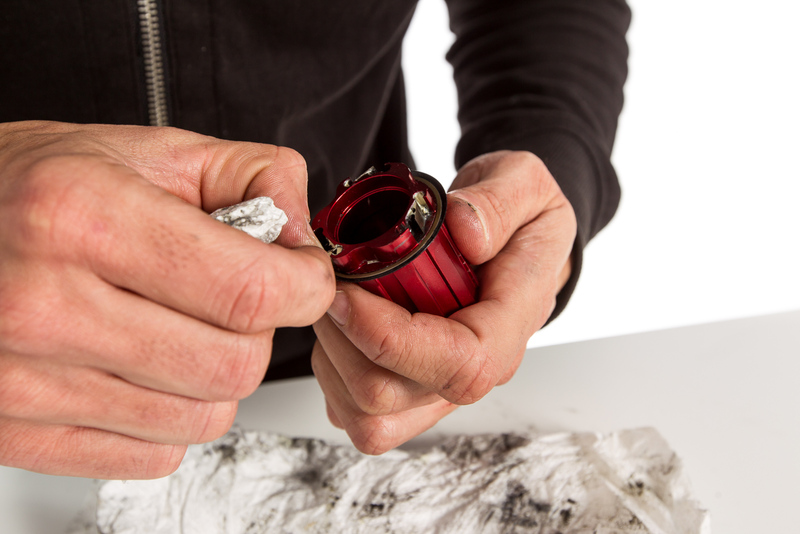 What is your advice for consumers who have to choose between steel or ceramic bearings? If money is no object, I would suggest branded ceramic bearings - but high-quality steel bearings also work very well. 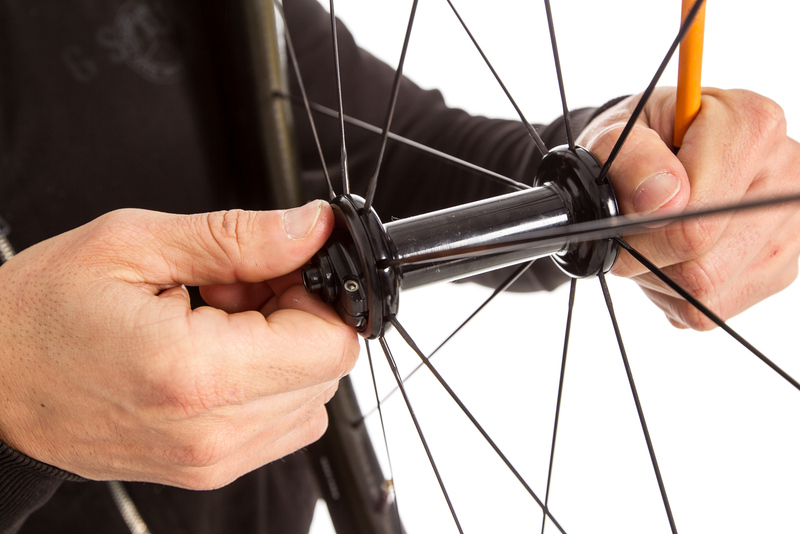 Even if you need to exchange steel bearings three times, it would still be cheaper than switching to ceramic bearings. 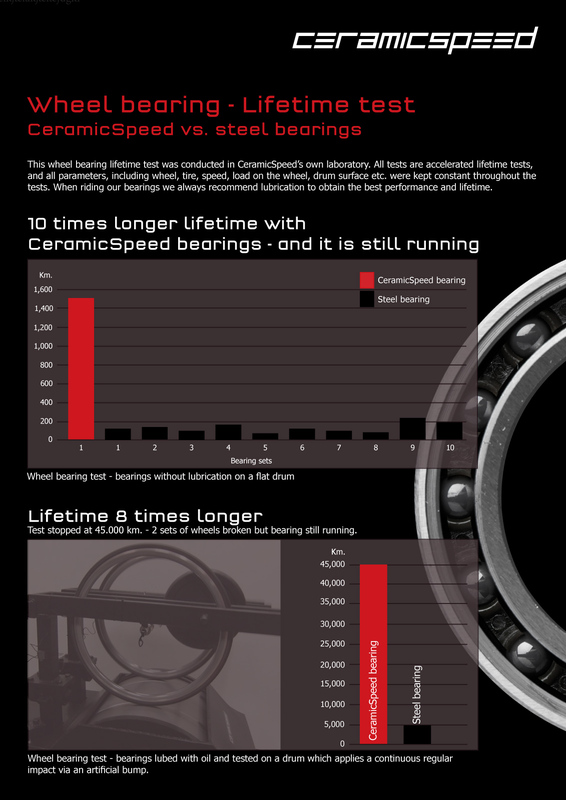 Do you think it makes sense for comsumers to subsequently switch from steel bearings to ceramic bearings? For frequent riders with a fat purse who focus on performance, yes, it would definitely make sense. For hobby cyclists who only ride a few thousand kilometers when the weather is fine - probably not. True to the motto "every watt counts!" we'll use specially prepared CeramicSpeed bearings to tease the very last saved watt out of our Zipp 808 and Super9-Disc wheelsets. To achieve this, we got ourselves some upgrade kits - coated, of course - sparing neither trouble nor expense to educate and inform our readers. 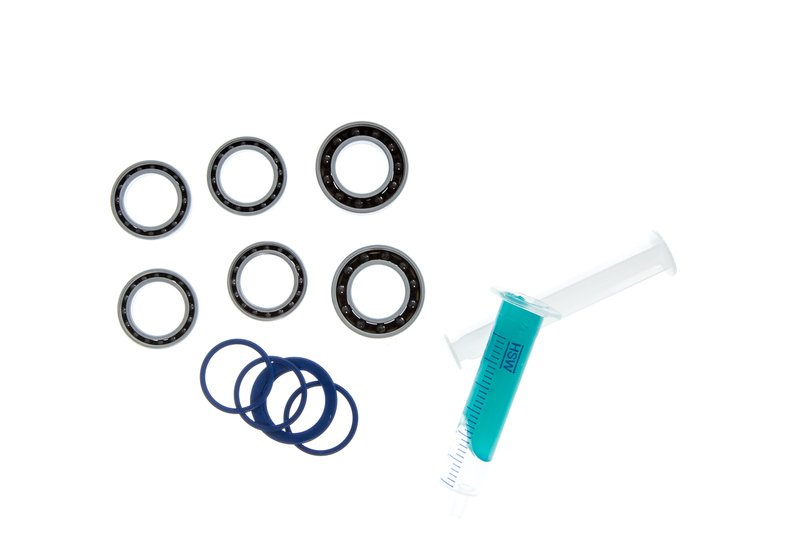 The top-quality ceramic hybrid bearings are delivered open and include seals, blue grease and numerous CeramicSpeed stickers for show. Using the right tools both the removal of the original bearings and the mounting of the tuning bearings shouldn't be much of an ordeal. Unlike the experiment last year, which was pathetic as well as time-consuming, we made sure we were equipped with proper tools this time. 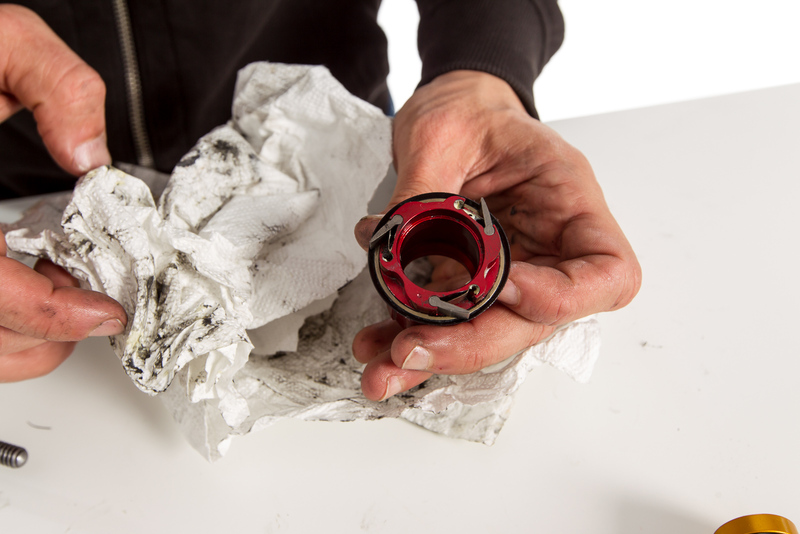 Although CeramicSpeed bearings are considered to be virtually indestructible (with 10 times the longevity of steel bearings), they should be relubricated at least once a year. Maintanance the bearings' condition should be checked every 5-10.000 km. 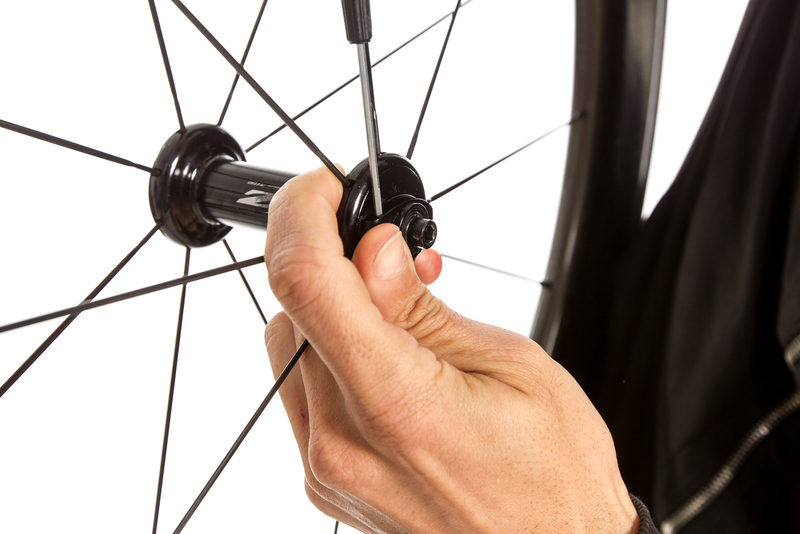 If you ride off-road or use the very thin TT grease, you should check on them every 1-3.000 km. Always add grease if you think the bearings are running dry. 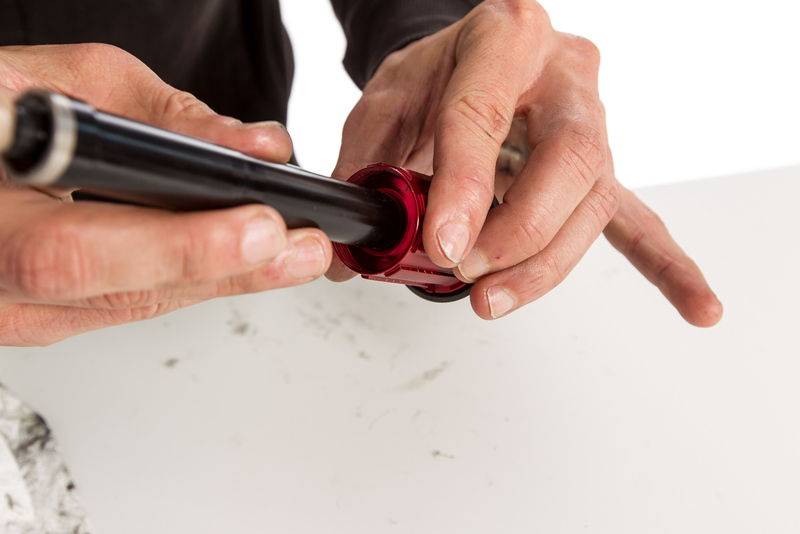 The bearings should be lubricated at least once a year. 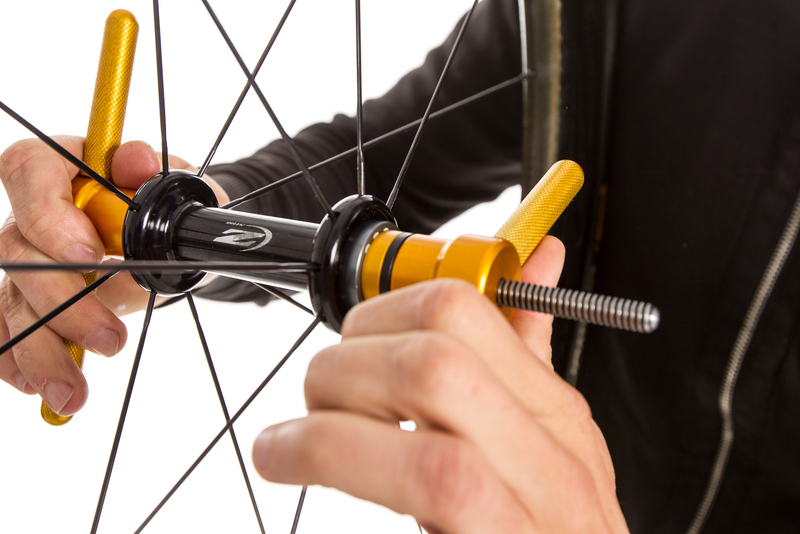 What kind of experiences have you had with ceramic hybrid bearings during your carreer as a mechanic? A couple of years ago we tested ceramic bearings on the velodrome track, together with Eri del Pozo and Wolfgang Kotzmann (note: the hub bearings were exchanged, but not the pulley bearings and those of the bottom bracket). A difference in frictional resistance was basically not measurable or fell victim to the inaccuracy of the test's setup. What would you say are the advantages and disadvantages of converting from steel to ceramics? 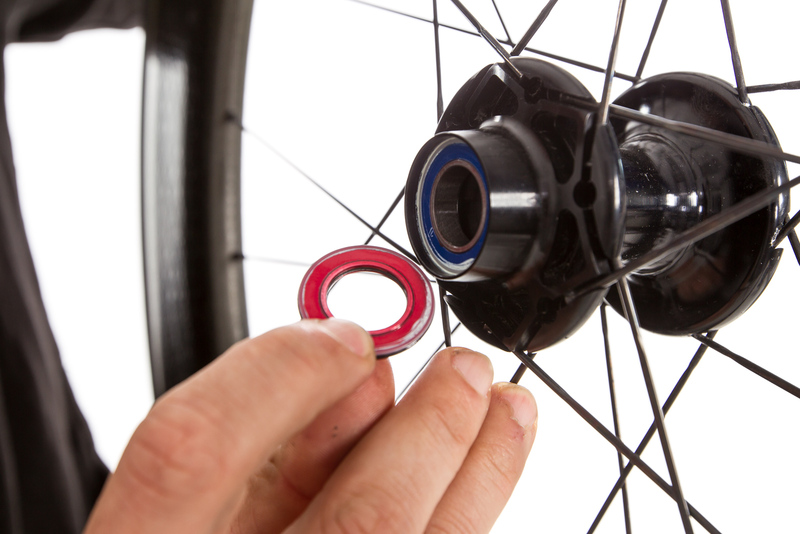 Personally, I think ceramic bearings are generally no more than very expensive voodoo. I can't even testify to the longer lifetime. 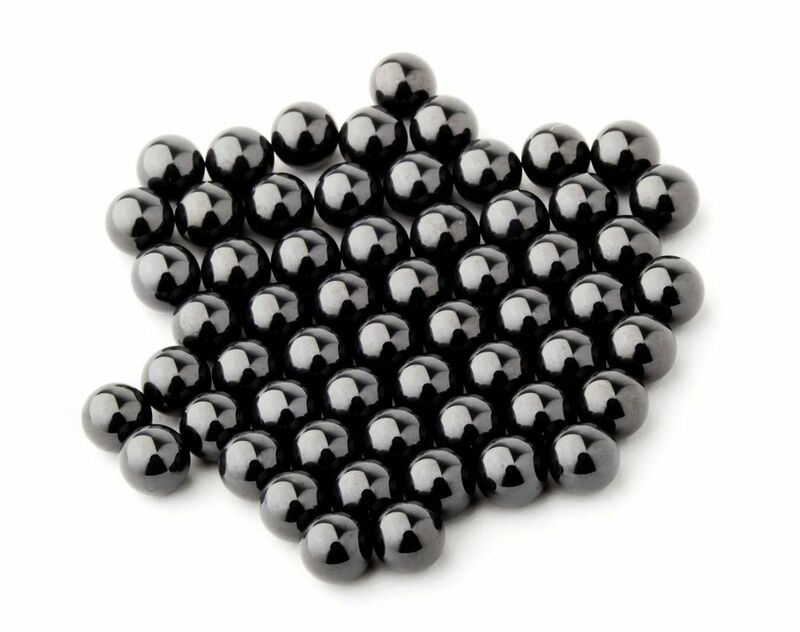 In my opinion ceramic balls have more of a decreased longevity compared to good steel bearings. However, I haven't installed or maintained any CeramicSpeed bearings as of yet. 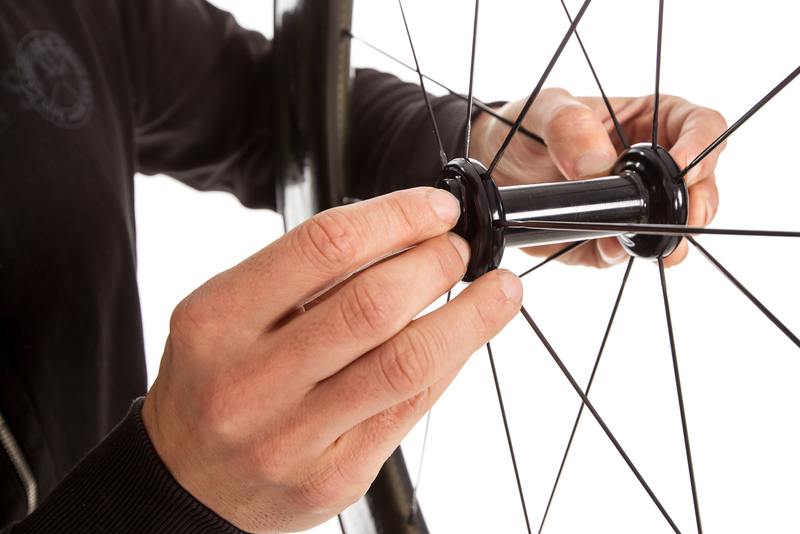 In the final stage of weight tuning, ceramic bearings are inevitable due to their low weight (note: the average bicycle has 12-14 moving bearings). 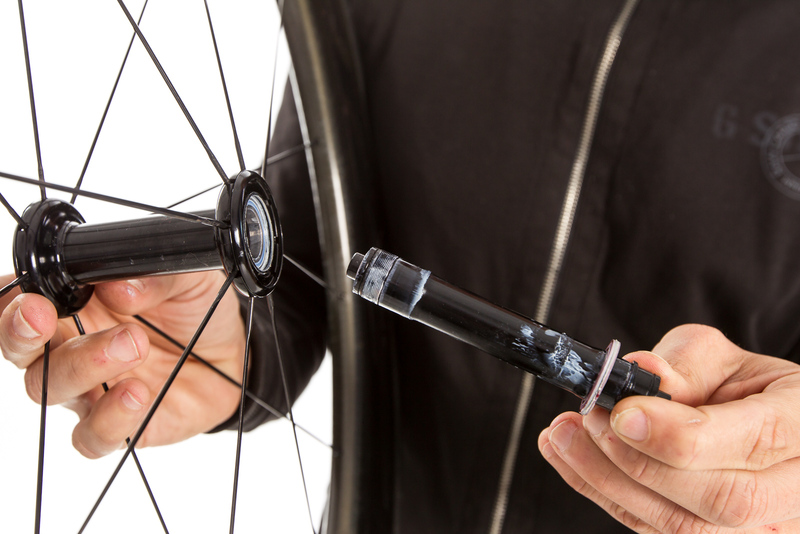 CeramicSpeed advertises their low-friction seals and greases. How significant would you say are these components? It's a well known fact that some mechanics degrease bearings, leave them open and lubricate them using very thin grease or oil. Subsequently, the bearings become labour-intensive, short-lived, and when it rains on the setup, the bearings will be dead. 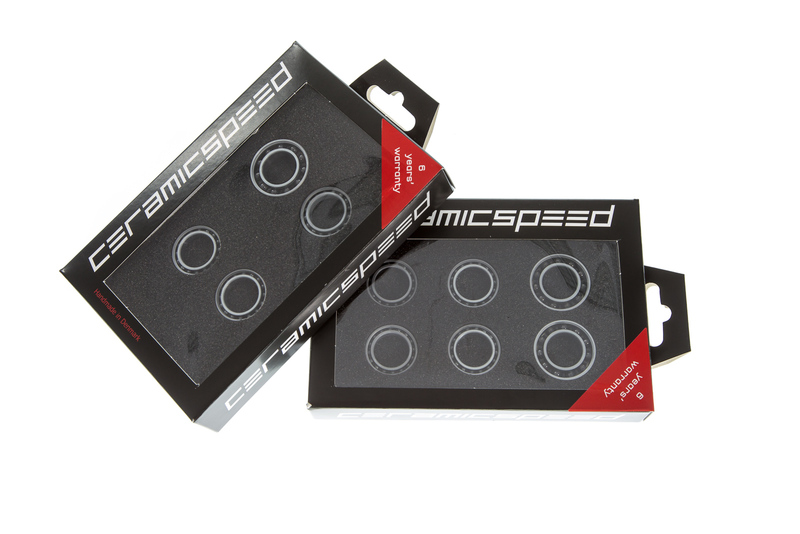 If CeramicSpeed uses a harder material for their balls than those I have seen so far, they might actually last longer. This would have to be tested - maybe in a long-term endurance test? 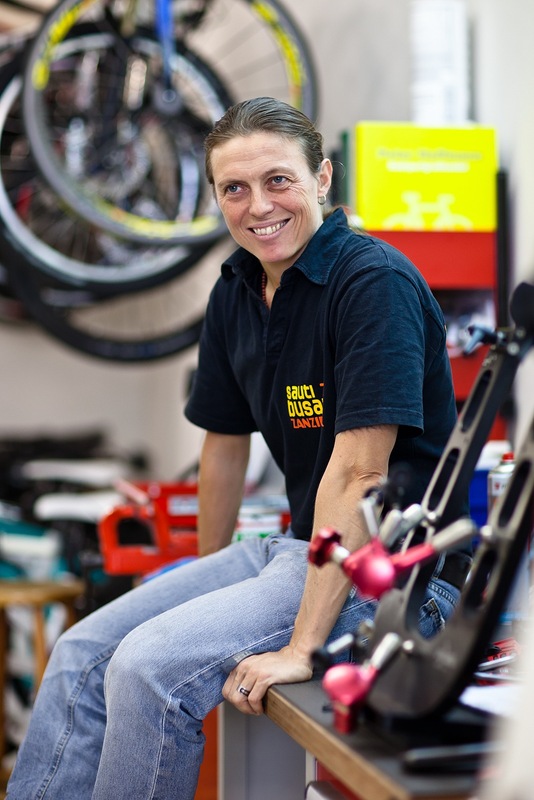 According to your technical experience, how much frictional resistance do the moving parts of a bicycle possess? The German TOUR magazine speaks of 0,5% at 30 km/h and 200 watt power, and Michael Gressmann speaks of 2% in his book about bicycle physics. 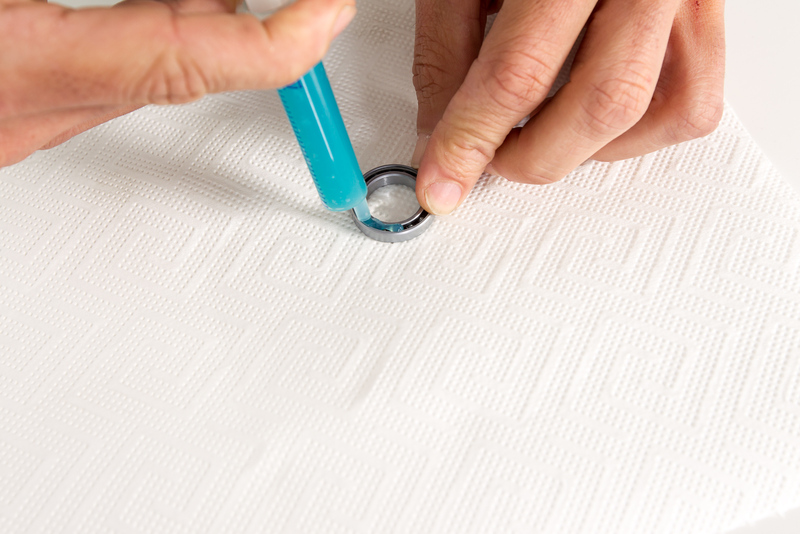 What really slows you down are the seals and worn out bearings. 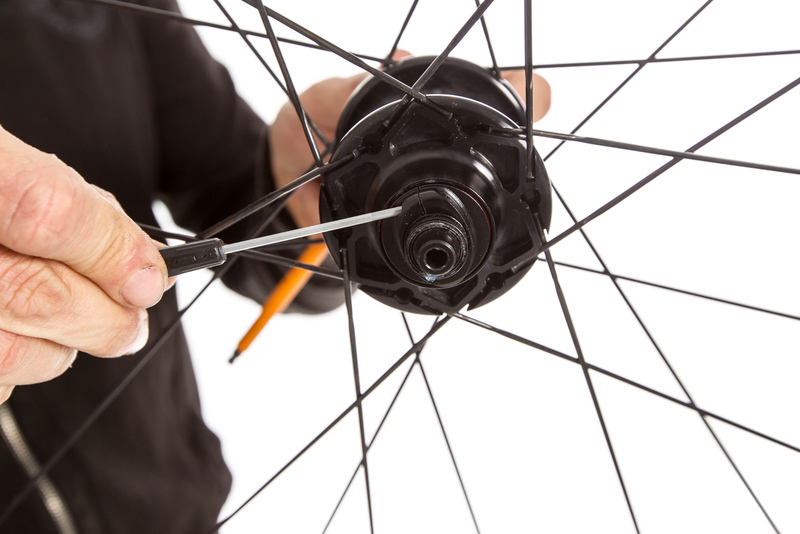 The cheapest tuning is cleaning the pulleys, greasing the chain and exchanging bottom brackets that don't run smoothly. But if all bearings are alright and broken-in (seals! ), then I'd rather believe in the 0,5% suggested by TOUR. 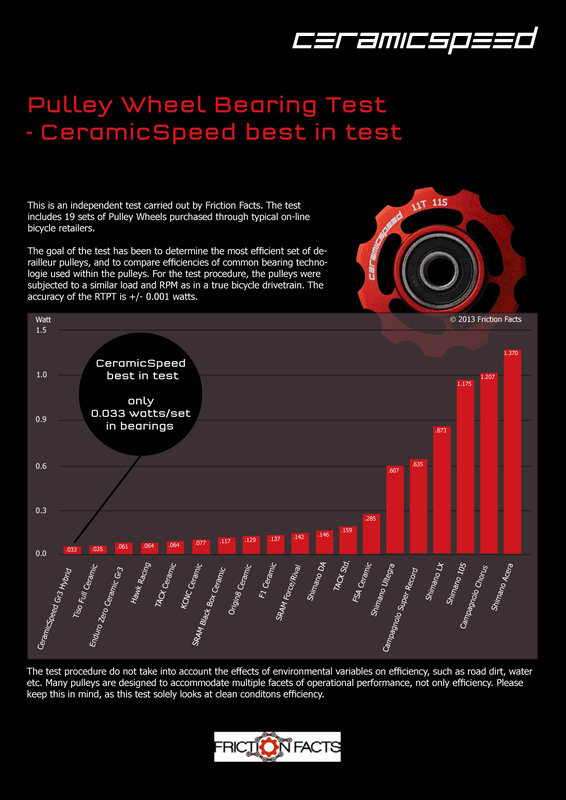 CeramicSpeed uses field tests to try and prove that their ceramic bearings - when installed in bottom brackets, hubs and pulley wheels - can save up to 6-9 watts. 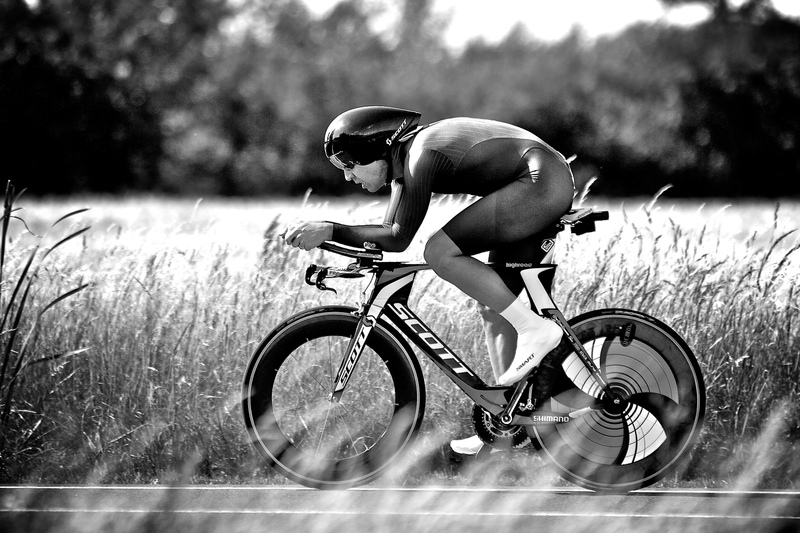 To sum it up: for a triathlete who rides 180 kilometers with an average speed of 32 km/h, this could mean a gain in time of up to 9 minutes. 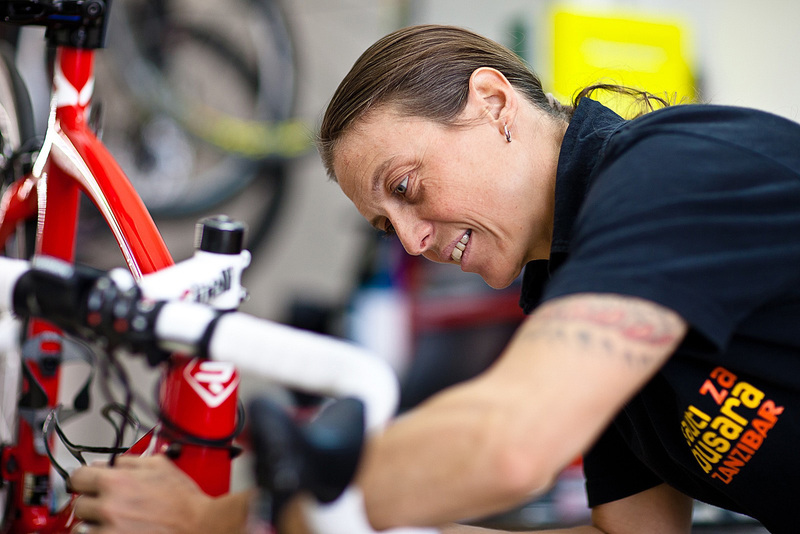 The test protocol: all tests are being performed indoor on a roller with a fully functional roadbike, standard components including the SRM Science PowerMeter, and a qualified rider. The goal is to calculate the sum of all savings in conditions that are as close to real-life as possible and can be repeated any number of times. The actual test begins with a conventional roadbike, which is equipped with a random groupset and wheelset made by well-known manufacturers. 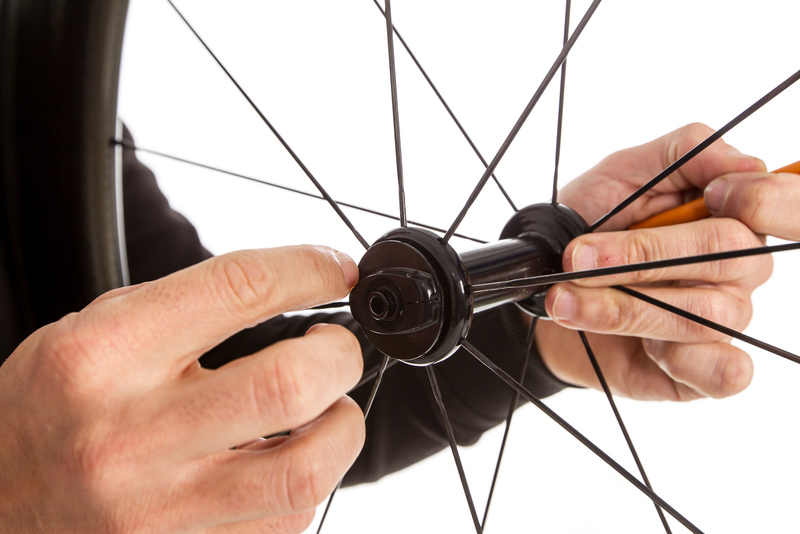 After the warm-up (bicycle components, wheels, roller and room temperature) and the break-in of the bearings, several 60-second intervals at a steady pace of 40 km/h at 95 RPM are being performed - all with the same gear ratio. Depending on the equipment, this requires 180-200 watts. 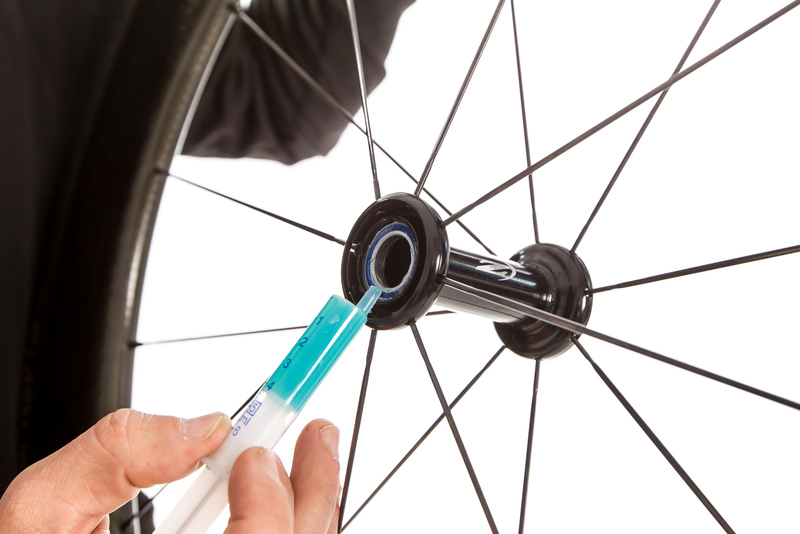 To be able to exclude any errors that could occur due to a difference in weight, pedaling techniques etc., all test drives are being performed by the same rider. 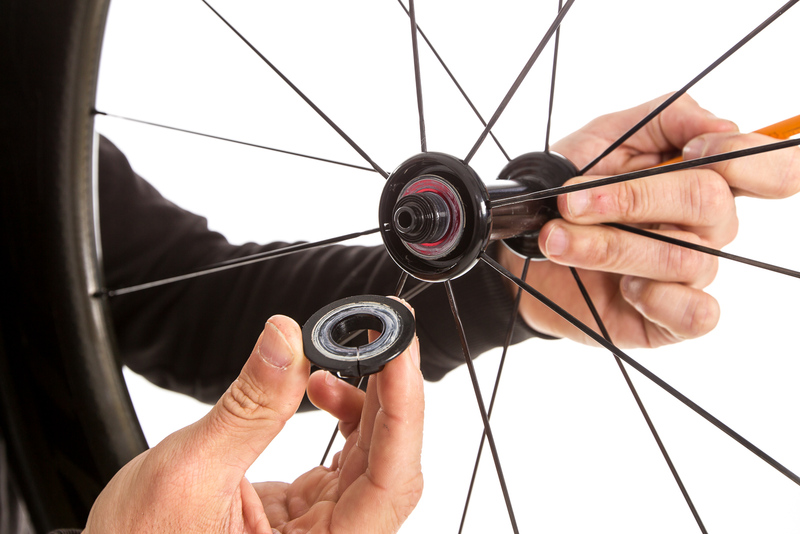 After the first intervals using standard bearings all bearings on the roadbike are replaced with CeramicSpeed products. 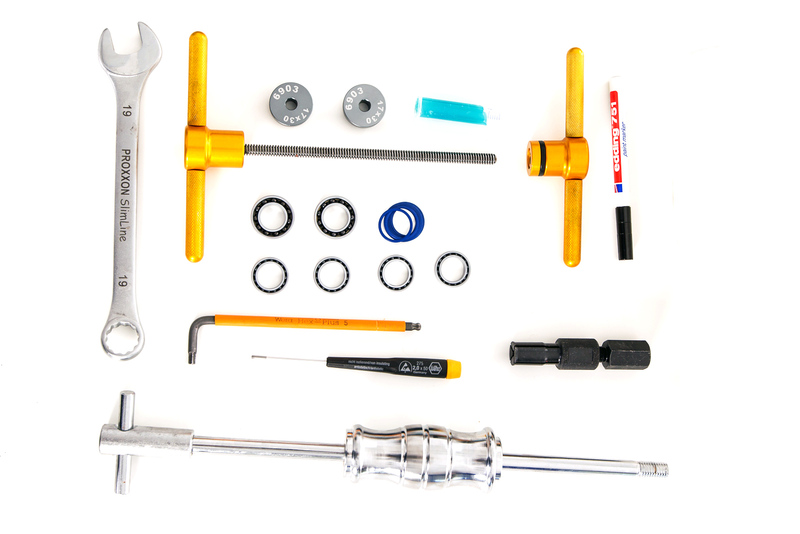 The remaining components such as chain, wheels etc. remain untouched. After another warm-up the 60-second intervals are repeated - at the same pace, with the same gear ratio, room temperature, tire pressure and cadence. Finally every single dataset is leveled to 40 km/h, and the results are compared. Depending on the base material, CeramicSpeed claims to measure differences of 6-9 watts to maintain a constant speed of 40 km/h. This experimental setup was validated by a Danish University as well as some ProTeam specialists and people close to SRM. However, none of these mentioned representatives have officially confirmed the test results so far. 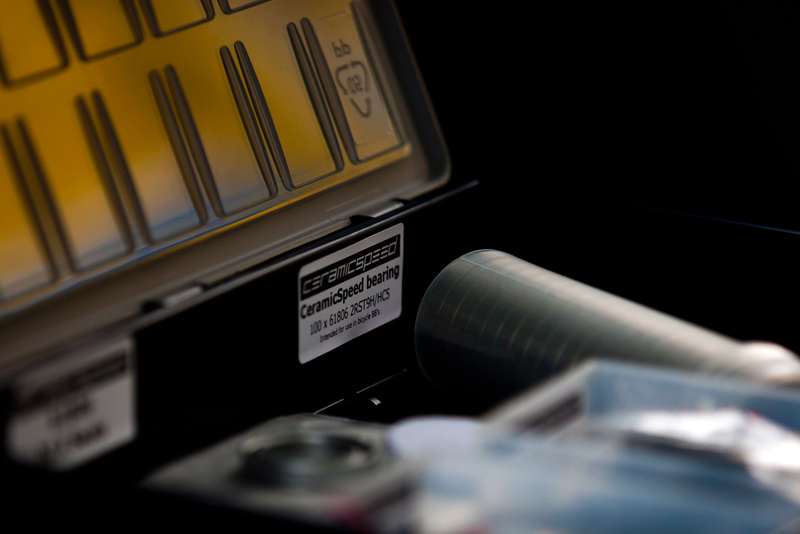 CeramicSpeed bearings save energy thanks to to lower friction. In your indoor roller tests, at a steady pace of 40 km/h (around 180-200 watts), you claim to be able to save between 6 and 9 watts. 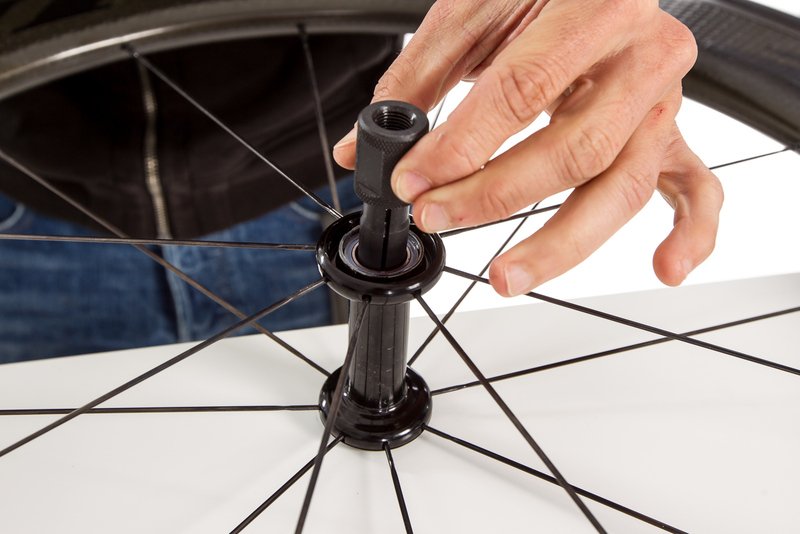 The German TOUR magazine argues that the total friction of all moving bearings in an ordinary roadbike is less than 0,5% of all driving resistances (at 200 watts). How can we save 6-9 watts if we theoretically need less than one watt against mechanical friction? First let me explain the test setup a little more. 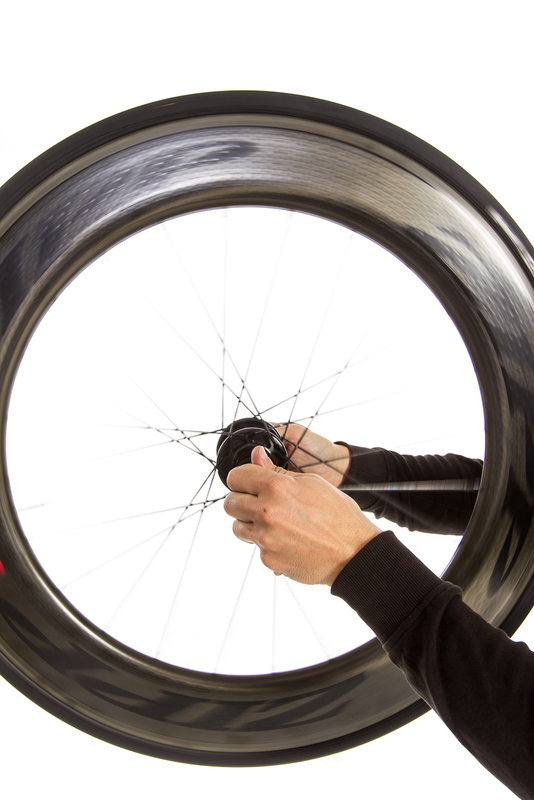 We ride on indoor rollers to remove potential errors from aerodynamic drag. 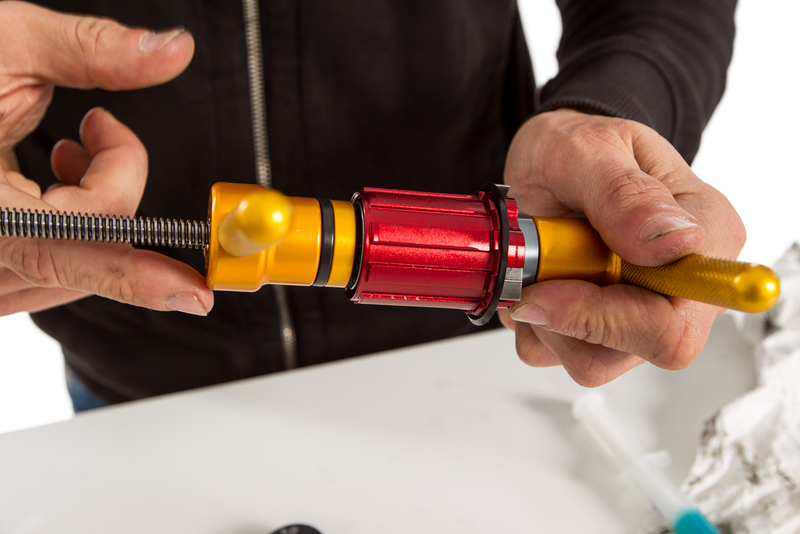 Since we are working with pretty small numbers, a slight change in position on the bike could easily overshadow the difference the bearings make. 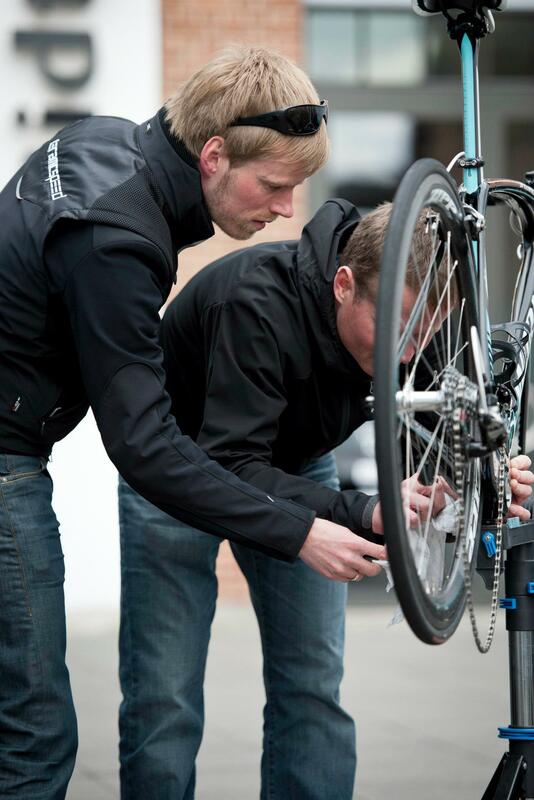 Our setup has been discussed with associates from a Danish university and performance specialists from World Tour teams. The test has not been officially validated by any of these but they have all agreed to the setup being valid. Actually, I haven't seen the TOUR test you refer to. But our own and other tests, e.g. Friction Facts, show completely different results. 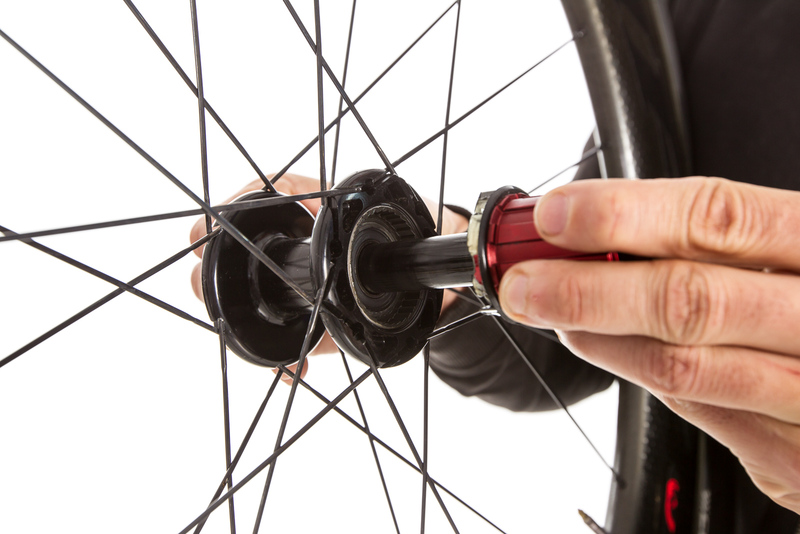 The BB bearings alone can have between 1-2 watts friction under limited load. 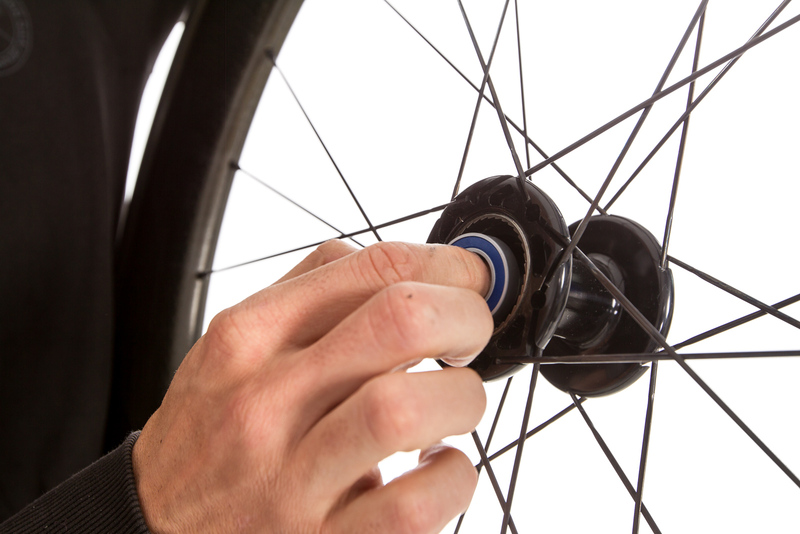 Thus, adding BB, wheel and pulley wheel friction, we are confident that our findings of 6-9 watts improvement is valid and realistic. Also, we don't calculate our results in percentage. 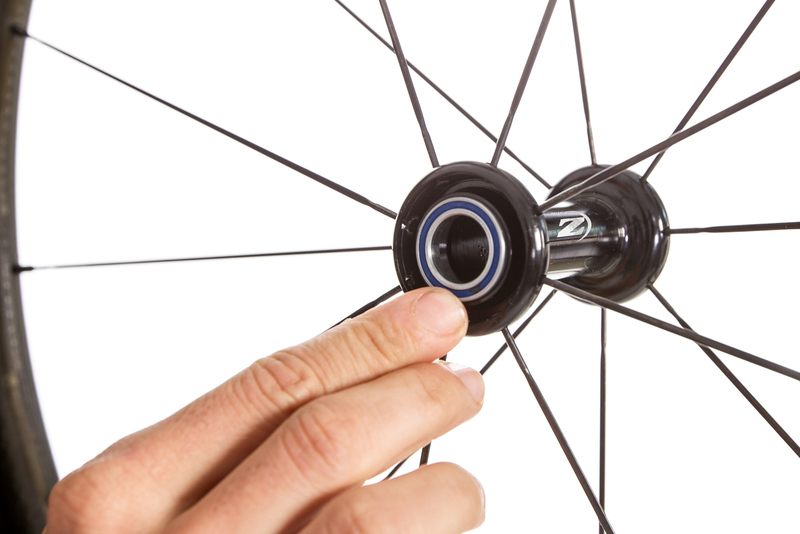 The BB and pulley bearings typically spin at the same speed no matter what pace the rider is going at and how many watts he pushes (you always ride at a relatively stable cadence). 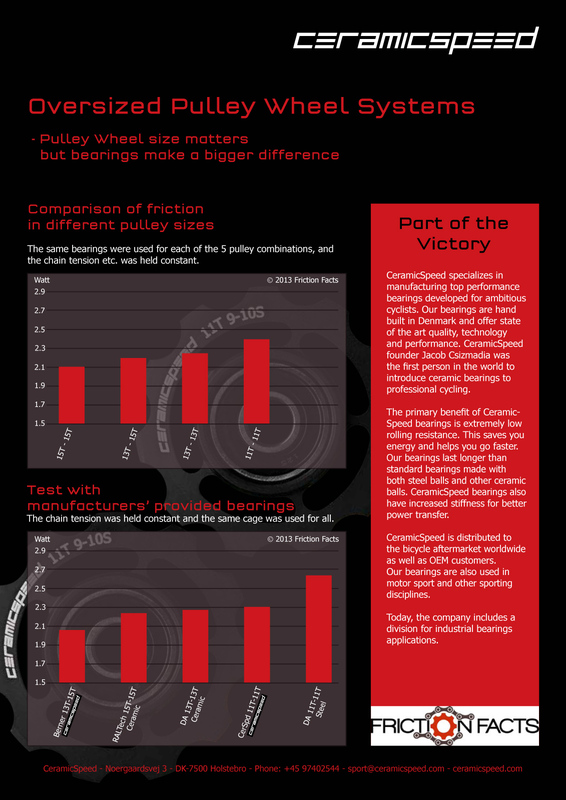 And the rotational speed of the bearings is very important for the friction; the watts put into the pedals are less important. The friction in the BB bearings does change with the watts you put into the pedals but again at another rate. So in our opinion you cannot claim a general percentage of saved watts, for it would change in relation to the rider, weight, watts, riding style, pedaling technique, pedal cadence, speed etc. Since your ceramic balls and races have achieved the highest possible grade, is there any room left for improvement? Yes, for sure. 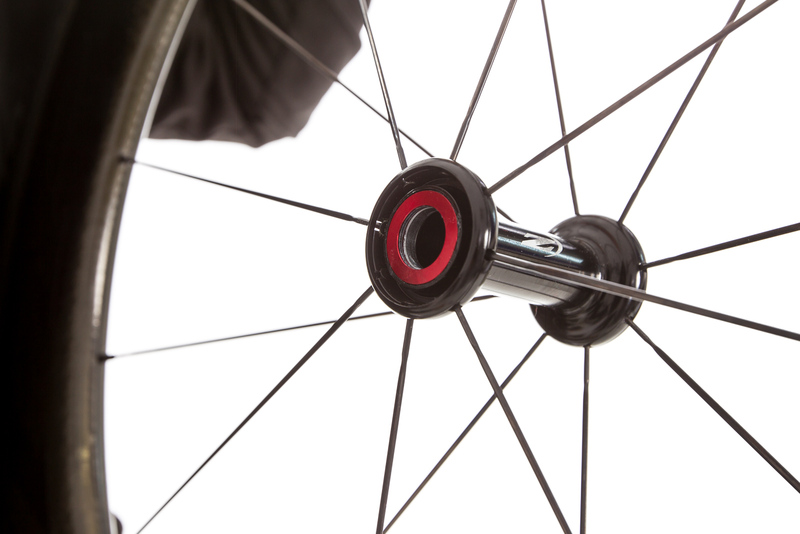 We have taken a big step from steel bearings to high-quality hybrid bearings and will never again be able to save the same amount of watts as we did when we went from steel to high-end ceramic. But there are still potential improvements to be made in relation to material, surface finish/treatment, lubrication etc. The bearings' lifetime is another important factor and here our products are already superior to both steel and lower grades ceramics. But in this field we are aware that we still have potential improvements ahead of us. 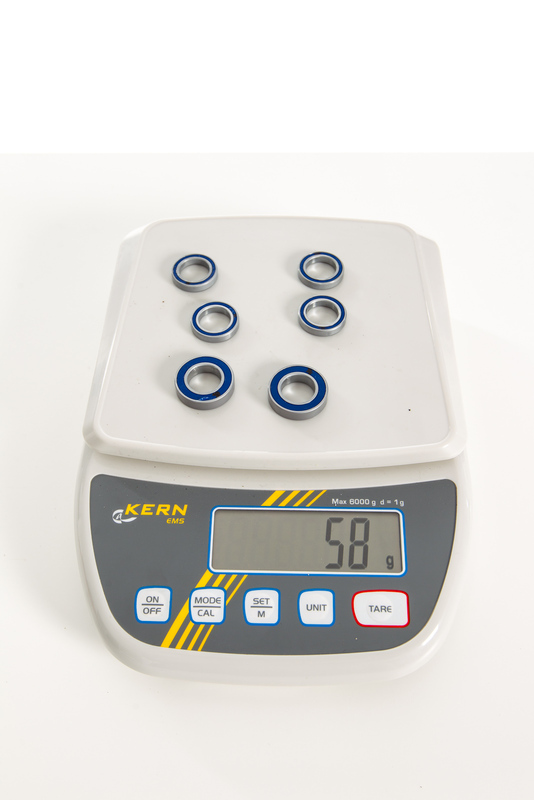 Besides the bearings we can also improve the parts the bearings are installed in. 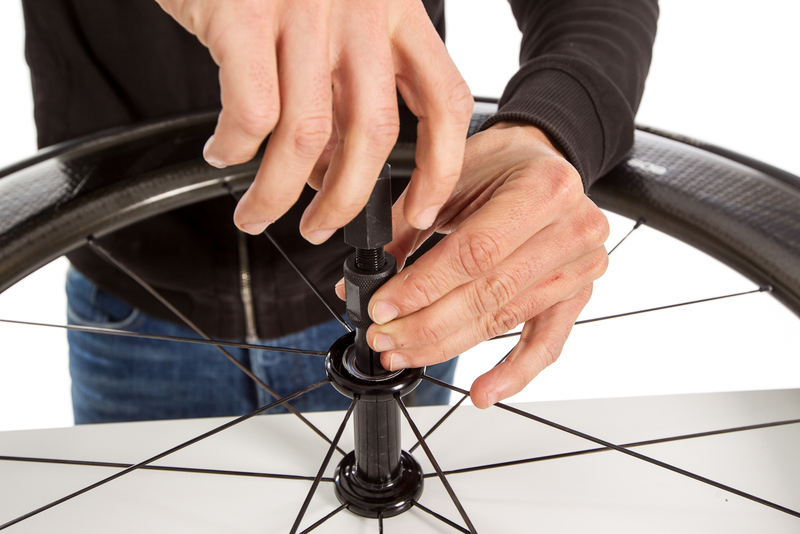 The BB cups can be optimized for better bearing performance and longevity, the pulley wheels can be optimized in relation to tooth profile, material etc. So we do have lots of possible improvements ahead of us. 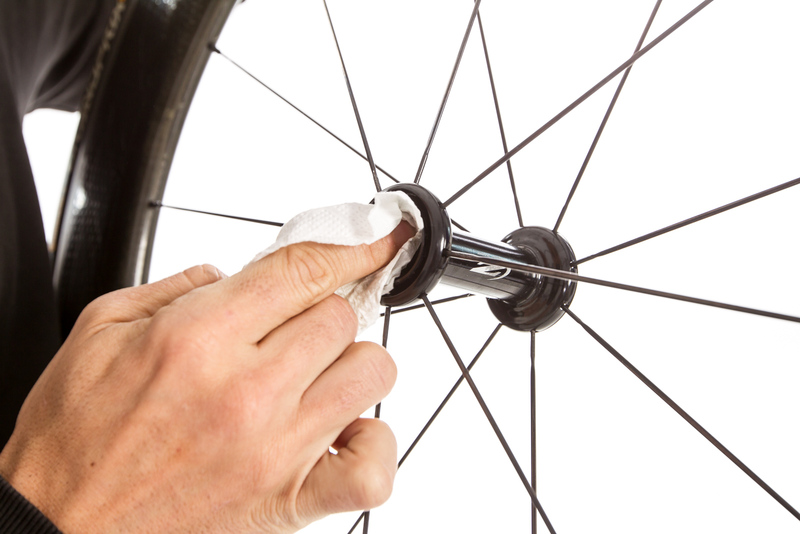 Is CeramicSpeed grease suitable for all types of ceramic and steel bearings? 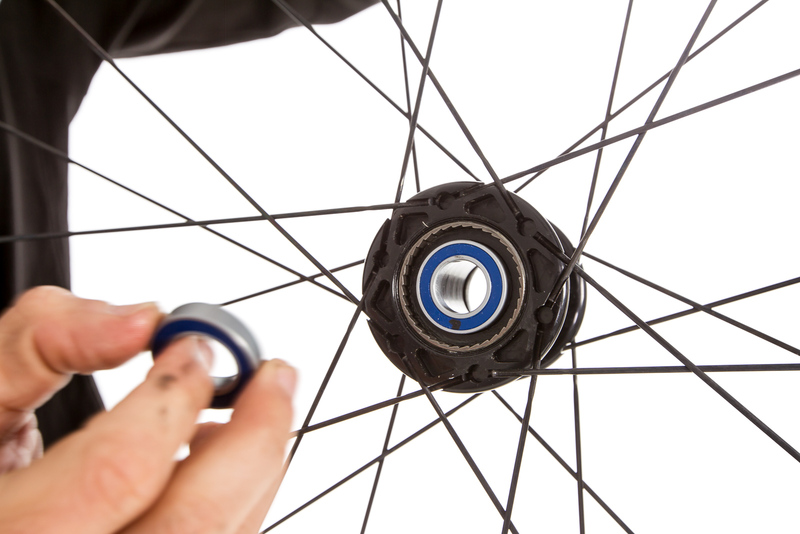 Do you recommend the blue grease to increase the efficiency of standard steel bearings? 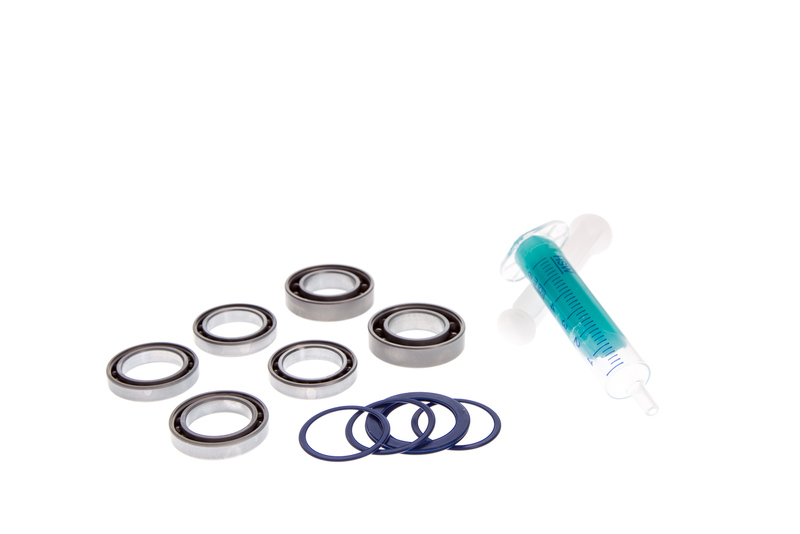 Our grease can be used for any bearing type. But I honestly wouldn't recommend replacing grease in standard bearings unless you are experienced in working on bearings - for example, most modern standard BB's are not meant to be taken apart, and if you don't know what you are doing you might damage the seals. 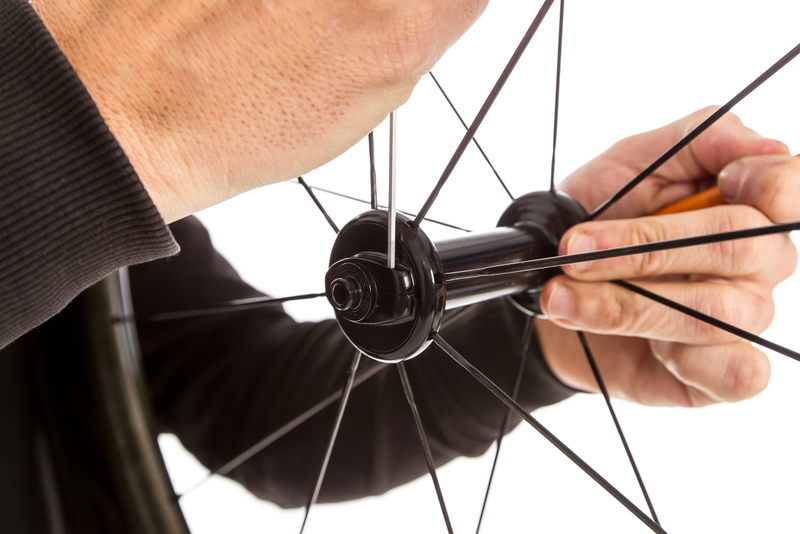 Do you plan a production of special full ceramic bearings for bicycles? With the current available technology, full ceramic bearings don't perform as well as high quality ceramic hybrid bearings. 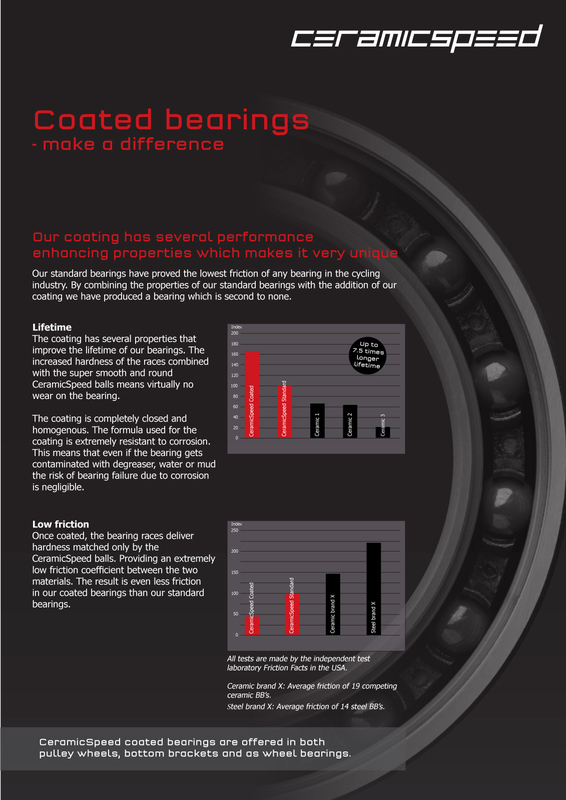 We sure see a potential in high quality full ceramic bearings, but the technology needs to be developed further.